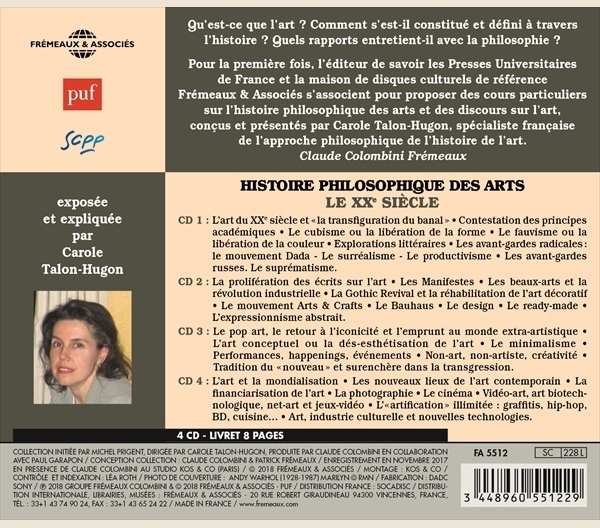 PHILOSOPHY - ARTS - LE XXE SIÈCLE - UN COURS PARTICULIER DE CAROLE TALON-HUGON - FA5512 – Frémeaux & Associés. 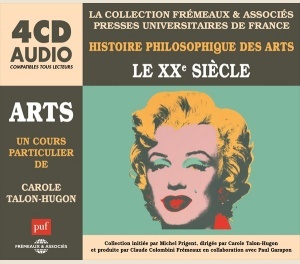 This 4 CD set delivers a complete course lecture in French by CAROLE TALON-HUGON, a famous French historian of art and philosopher. A unique approach on the evolution of art (poetry, sculpture, concept of beauty, etc.) during the 20th century, which mixes philosophy, art and history.